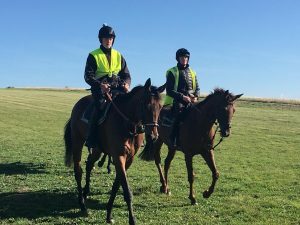 Uplands has been one of the most famous yards in Lambourn for many years, Fred Winter produced twenty-eight Cheltenham Festival winners as a trainer (to go with his seventeen as a jockey) including Champion Hurdle victors Bula and Lanzarote as well as Gold Cup winner Midnight Court. Warren Greatrex is the present incumbent, with a half century of winners in each of the last four seasons, myracing spoke to him about the season ahead, on the hunt for our horse racing tips of the future. The stable star will be going novice chasing this season, “starting over two and a half miles. A successful season once more least time around, she was the only one to take on Faugheen early on” (at Punchestown in April) before fading to those ridden with exaggerated restraint. 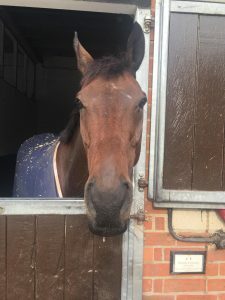 She’s versatile from two to three miles so there are no firm plans for her this season but she has the size and scope to make a very smart novice. Strong stayer has “always had the ability” it’s a matter of “keeping him fresh for his aim of the National.” He will be aimed at the Becher Chase first off then looking to build him up to the spring. He’s had a tweak of his wind after being pulled up in the bet365 Gold Cup which may help him improve further this season. Fourth, fifth and sixth in three Grade 1’s last season so it’s interesting that the yard feel he “slightly underachieved.” A mark of 145 looks workable with the Greatwood Hurdle the aim, “this will guide us as to where we go this season, it’s not easy going hurdling after bumpers” but the yard clearly feel that he has more to come. A puzzling horse, given that he’s “foot perfect at home” but has failed to complete the last thrice. He will begin his season over hurdles, with no firm plans for his campaign yet. A strong run could see him taking in staying hurdles this season. “He’s a heavy ground staying chaser, we’ll start him over two and a half miles to pick up some experience” in novice events. He was a little inconsistent over hurdles last season but has always looked a chaser in the making. A winner at Chepstow last year, that kind of galloping track when the mud is flying looks his bread and butter. Similar type to Lovenormoney, a proper staying chaser in the making. “He’s very laid back, you ask him and he keeps galloping and finding.” Novice chasing is the plan with him as well, with deep ground preferred. He’s only had six starts in his life, shaping as if he’s a Welsh National type for the future. Only seen on track once in his career, when ripping apart a Fontwell bumper in June. “Slow to come to hand, he doesn’t set the gallop alight at home but he picked up well (at Fontwell) and was never faster than through the line.” Novice hurdling will be his game this season, interesting to see how he gets on given the visual impression he made on debut. Picked up from the sales for £65,000, he came recommended by Noel McParlan (who rode Missed Approach to Cheltenham Festival victory for the yard) after winning his sole point in Ireland. “He’s very straightforward and has done well for a summer out” though there are no immediate plans for him, he is very much one for the notebook. “He’s a lovely big horse, placed in two bumpers on the track, he just feels like a nice horse.” The plan for this dark horse is to go hurdling in November so hopefully he will be on the track shortly. He looks a typical Trevor Hemmings stamp of a horse, a half-brother to one who reached 130 over hurdles from very limited action. Owned by Grech & Parkin, his dam was a Listed winner over hurdles in France, while his half-brother was third in a Listed race in October. “He was backward last year so he didn’t run. He’s still a baby now but the early signs are good, he’s one for next year.” He could be out in a bumper this side of Christmas, very much looking a long term recruit to keep on the right side of. Thanks to Warren Greatrex, Olly Kozak and all the Uplands stable staff for their help.